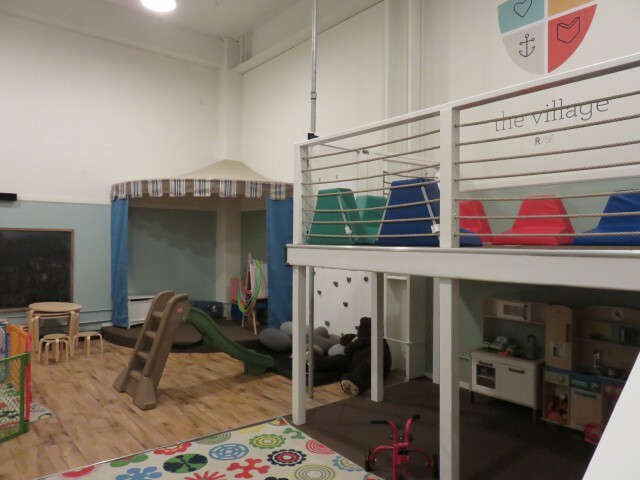 Nursery is available during the service, as needed, for infants and nursing mothers. Safety – We are committed to making Eucharist Church the safest place for children in San Francisco and the most dangerous for predators or those who might want to harm children. We require background checks and special safety training of all volunteers. Following the policies and recommendations laid out by our diocese, we have implemented a thoughtful and thorough children’s safety plan that we follow carefully. Holistic – We are committed to nurturing a holistic approach to Christian formation for children that includes addressing the home life, formation of parent’s faith, sustaining a vibrant social community for children that normalizes Christian faith commitment. Multi-Generational Worship – We are committed to working toward healthy, vibrant, multi-generational worship. In order to address the needs of families and children at young ages, we offer a nursery for very young children and age-appropriate programming for preschool and elementary age children (3-11 years) during the Word (scripture reading / sermon / creed, prayers of the people) portion of the service. We believe it is important for the whole family to worship together as much as is possible, so we invite families to begin and end the service together. Parental/Family Support – We are committed to supporting parents and families. Studies about children’s faith development repeatedly point out that THE most important factor (by a long shot) in a child’s faith development is actually the parent’s faith & practice and what goes on at home. As a church we want to prioritize supporting parents in their incredibly important role as the primary shepherds of their child’s heart. Christ-Centered, Gospel-Focused – We want our children to know the love of God in Christ. Following the Lectionary – In order to foster continuity between parents and children, we want to base our curriculum offered to children during worship off of the same 3-year lectionary cycle that guides the Word portion of our worship services. Cultivating Wonder & Holy Curiosity – We’re not just interested in stuffing kids full of facts and information. We want them to enter into the mystery of knowing and loving God – with body, heart, and mind. Learning the Biblical Story – We want our children to be grounded in biblical literacy such that the Bible shapes their imagination and provides the foundation of their identity. Our children, over time, should come to know the Old and New Testament characters, treasure the Biblical stories, and memorize key verses. Forming Holy Habits – The ability for people to continually grow in love, build character / virtue, and mature/sustain faith over a lifetime all comes back to the habits, patterns, and rhythms that shape our life. We are all (kids especially) “ritual” creatures. We want to build on that part of our nature, not resist it.